metal, glass, photo negatives, electronic components, etc. 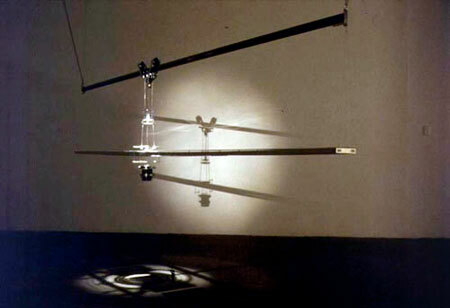 A projection apparatus that has four lenses, one lamp and mechanical parts is hung from a 12 foot long metal pipe track that is horizontally suspended. 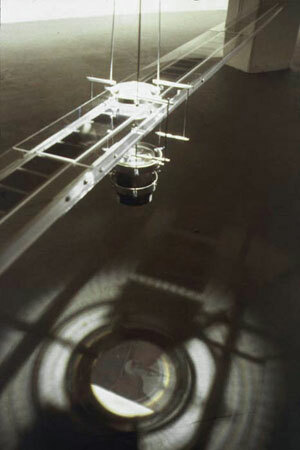 Also the pipe holds long and narrow glass plates on which the 64 films (medium-format photo negatives and text) are lined. 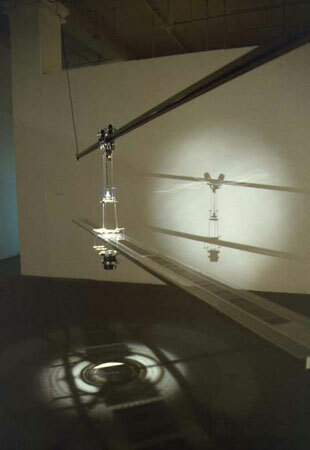 On the metal track, the projection apparatus slowly moves back and forth and projects the images and text on those films onto the floor. Those negatives were found in the old abandoned house of my father’s side family in Tokyo. 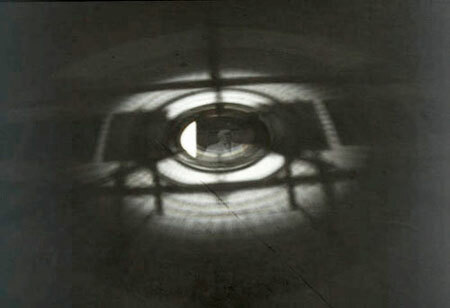 The projection apparatus is the analogous representation of my internal projection through watching those found images. The images are from when my father was about 18 yeas old (around 1952). 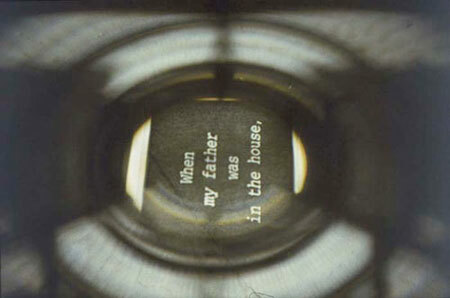 My reactions toward those images of my pre-marriage father are written in the same format of “When my father (a verb) (…),” and inserted in those found negatives.